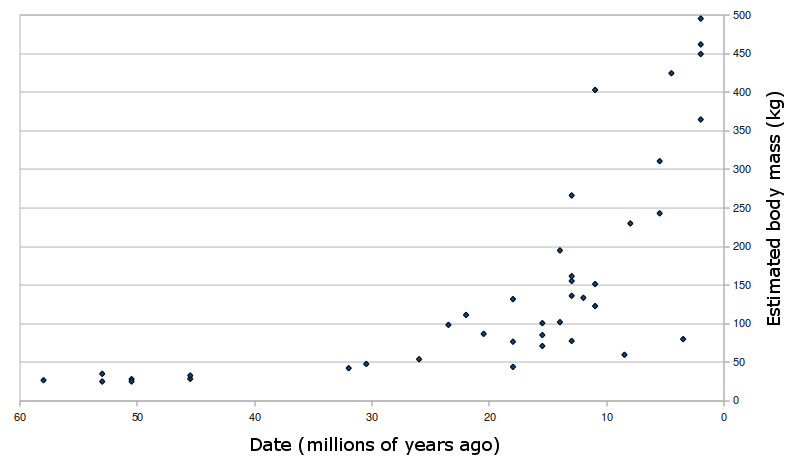 This graph shows the general trend towards larger body mass in the horse fossil record. Each dot represents a different species. After MacFadden (1986). MacFadden BJ (1986) Fossil Horses from "Eohippus" (Hyracotherium) to Equus: Scaling, Cope's Law, and the Evolution of Body Size. Paleobiology, 12(4): 355-369 (paywall).